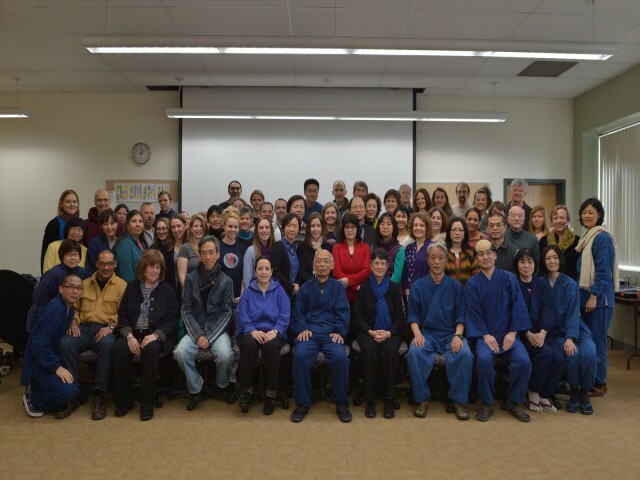 Thank you for attending Shakuju Therapy seminar in Boston! 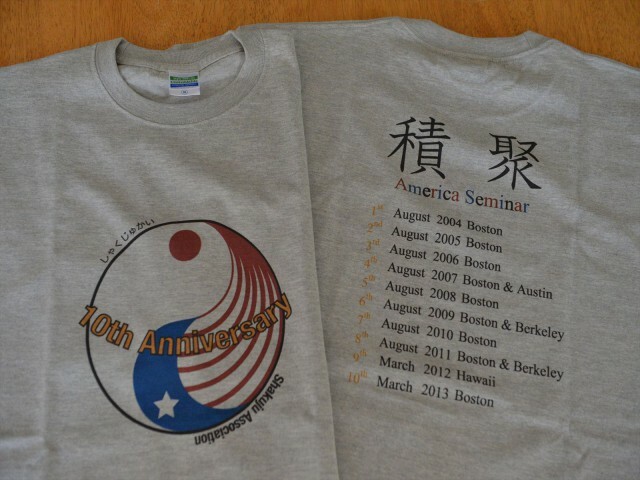 This seminar was the 10th seminar in the states (as Boston only, this is the 9th seminar)! We are so glad that so many people joined the seminar, and wish everybody acquired some inspirations from the seminar! 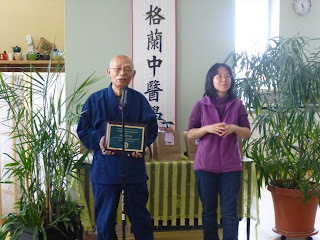 Hara sensei is introducing practitioners! 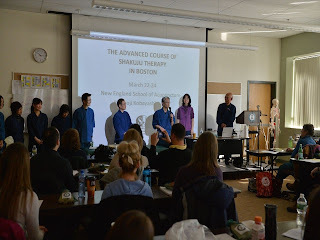 The main theme of the seminar was the reconstructed theory such as the relationship between Shaku and Sho (Abdominal pattern) and the classification of fundamental treatment and supplemental treatment. In addition, Kobayashi sensei introduced treatment of Ex-UE9 and Ex-LE 10 as supplemental treatment. Those who have been studying Shakuju therapy for a long time must be surprised at Liver Shaku Liver deficiency pattern and Lung Shaku Lung deficiency pattern, I guess. When Shakuju therapy was made up, the concept of "deficency of Jing qi" was more vague than it is now, and it was expressed as "yin deficiency" in the book "Toyo igaku koza 10 kan (Oriental medicine series volume 10)". It was theorized that "deficiency (yin deficiency)" exist on the background of "excess" reactions, Shaku, such as pain, hardness and pulsation on the abdomen, and tonifying this yin deficiency leads to the improvement of Shaku on the abdmen, main complaint and other reference points. Regarding Liver Shaku and Lung Shaku, Shaku on the right and left abdomen, it was assumed that when Shaku (excess) exist on the left abdomen (Liver zone), the right (Lung deficiency) is deficient, because the cause, "deficiency (yin)" was explained in terms of right and left "yin and yang". This is why the abdominal pattern was Liver Shaku Lung deficiency pattern in the past. 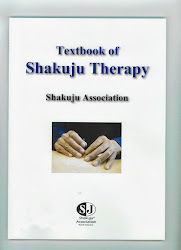 Shakuju therapy has been theorized from the clinical practices, it had been no problem clinically, so it had been used. However, the part of the theory is reconstructed now. "Excess" reactions such as "Shaku" and all other excess and deficient reactions are all expressed as "reference points". These reference points are explained as "the fundamental yang (including the narrower deficiency and excess, such as Shaku and reference points)" and on the base of it, it exist "deficiency of Jing qi", "the fundamental yin". There is no theoretical controversies, rather it was more sophisticated and deepened, but the issue was whether it is okay to treat Liver deficiency pattern when the patient has Liver Shaku, and Lung deficiency pattern when Lung Shaku. 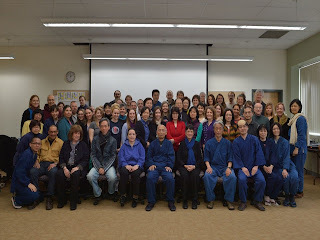 So, some practitioners on Taishido acupuncture clinic, tried these on the clinical practices, and there was no problem. Please understand the deepened theory and try it on the practices! Regarding the relationship between the fundamental treatment and supplemental treatment, only the usage of the outer bladder line is the fundamental treatment, and all other treatments, such as the inner bladder line, JJ line, GV line, CV line and points on limbs are categorized as supplemental treatment. Therefore, the fundamental treatment starts from the abdominal contact needling, pulse examination and adjustment, abdominal examination and choosing Sho (abdominal pattern), treatment on the outer bladder line and ends at the treatment on the shoulder in sitting position. Ex-UE9 and Ex-LE 10 are the border on yin and yang as well as the GV line and CV line, and these have strong power to tonify the deficiency of Jing qi in terms of its changes of reference points. We wish that the seminar was fruitful to everybody who attended the class and hope to see you soon!!! Please enjoy the practice of Shakuju Therapy!